I arrived at The Arch London on a chilly afternoon in late January and was greeted by friendly reception staff next to an inviting lounge area with a roaring open fire. The Arch London is a luxurious Georgian townhouse spanning seven Grade II listed Georgian townhouses and two mews homes, located just moments from Marble Arch, Bond Street, Hyde Park and the West End - perfect for both business and leisure travellers. 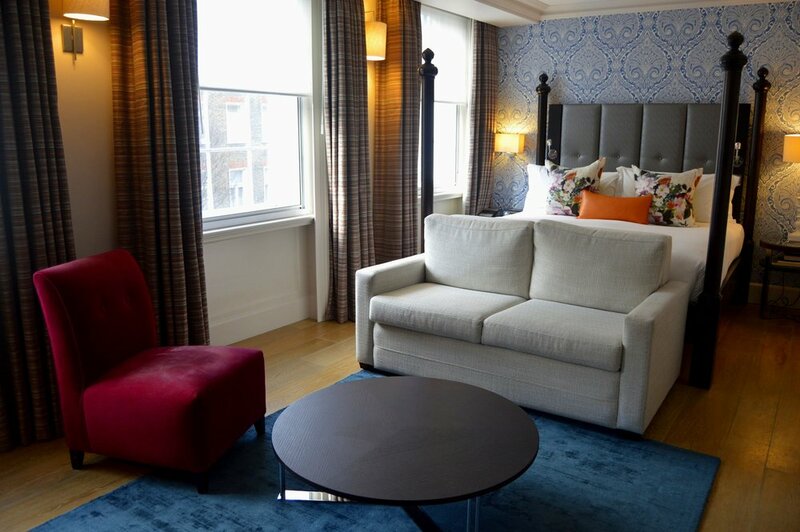 Despite being very close to the hustle and bustle of Central London, this delightful 5* hotel is a wonderful haven of peace and quiet, situated on a peaceful residential street in Marylebone. 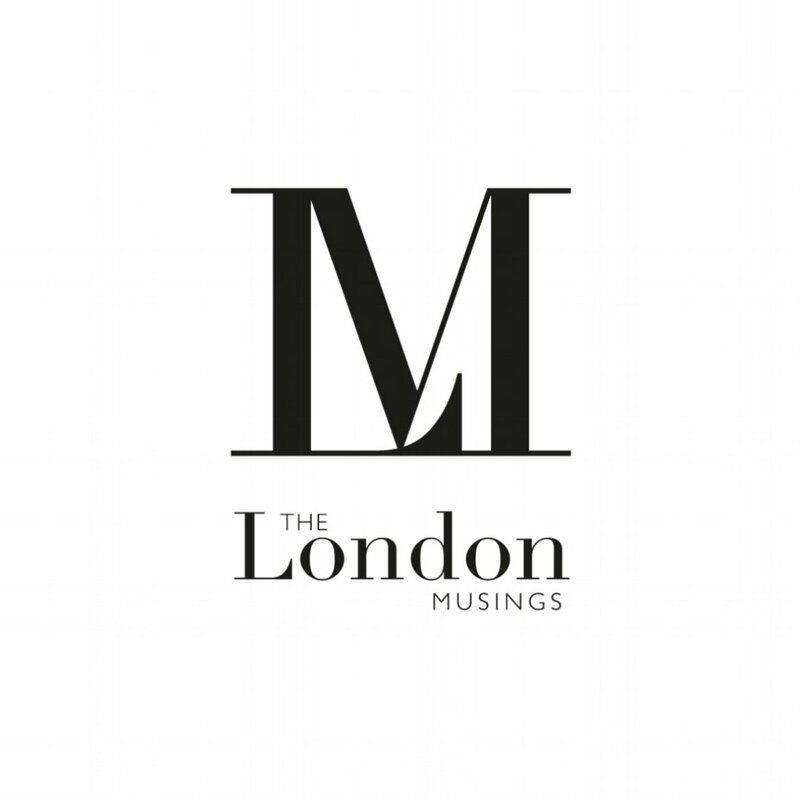 The Arch London was designed by RDD Interior Architectural Design, who have used artwork by emerging British artists, vibrant colour schemes and design-led furniture to compliment the immaculately restored classic features of the hotel. Check in was quick and efficient and I was promptly shown to my room on the second floor. I was staying in a wonderful Executive Junior Suite boasting street views and an abundance of natural light. The room was beautifully finished, featuring a modern four-poster bed, bold and bright soft furnishings, monochrome art work and all the mod cons you’d expect from a five star hotel (large flat screen TV, Nespresso machine, mini bar, hair dryer, WIFI). Complimentary treats include soft drinks, water and juice from the mini bar, Jing teas and MALIN + GOETZ toiletries (excellent conditioner). The suite was a brilliant space for relaxing, working and even entertaining. I found myself using the entire suite - sending emails at the desk, lounging with tea and cake in the ‘sitting area’ and of course catching up on sleep in the extremely comfortable four poster bed. I loved the turn down service, chocolates had appeared on the bed and a relaxation radio station was softly playing as I entered my room after an evening outing. So far, in terms of comfort and service, my stay at The Arch London had been flawless. Breakfast, lunch and dinner are served in Hunter 486, The Arch London’s impressive, laid-back-yet-luxury restaurant on the ground floor. The restaurant offers a carefully curated ‘Best of British’ inspired menu, developed by Head Chef Gary Durrant. The restaurant setting is glamorous and contemporary with a serene and luxurious atmosphere. Meals are served to guests in leather booths or at tables with original designed Tom Dixon chairs (I love them), under soft lighting from magnificent glass-blown chandeliers. The friendly and talented chefs can be seen preparing dishes from an open-plan kitchen at the back of the restaurant, which adds a fun excitement to the restaurant atmosphere without creating a distraction. I was informed by the hotel concierge that the restaurant’s name is an homage to the 1950s dialling code for Marylebone, adding to the charm and thoughtfulness of the hotel. For breakfast, I chose the ‘Hunter Favourite’ - poached eggs on sourdough with spinach and avocado, which falls under the ‘Healthy’ section of the menu. I completed this dreamy breakfast with a soy latte and a Green Smoothie - pineapple, seasonal greens, mint, apple juice and orange juice. If you’re looking for a slightly more sinful start to the day, there is a Full English breakfast option and lots of other speciality options, including Canadian pancakes with berries, bacon and maple syrup! My breakfast was excellent and I certainly left the restaurant with a spring in my step, feeling thoroughly satisfied, rejuvenated and alive. Choosing to return to the restaurant again for lunch, I opted for the vibrant red potimarron squash curry with lentils, kale and lemongrass rice, which was beautifully fragrant and wholesome - the perfect vegetarian dish for a wintery afternoon. Although I was not tempted by the wine list, I was impressed by the vast selection of cocktails and wines on offer (including a Champagne list with 27 available by the glass) and made a note to invite a group of my Champagne-loving girlfriends here for a sparkling dinner. The staff in Hunter 486 were wonderfully attentive and smiley both times I visited, which further elevated my dining experience. Although I did not have my beloved Chi-Pom with me, I was pleased to hear that the hotel is dog friendly, with an ethos to ‘treat pooches to the same indulgent experience as their owners’ with luxurious dog beds, bowls and a special menu cooked to order by a chef! If you’re busy working or dining, there are also dog walking services available, so your beloved friend can discover nearby Hyde Park - 350 acres of fun. Little touches like this make the hotel stand out as somewhere I would happily return to again and again.